Offer is good for any service (Belle / In The Home / Belle+) and on any Plan (Monthly, Quarterly, Annual). Need help? Belle to the rescue. Emergencies don’t follow a schedule and they seem to strike when you’re least prepared for them. Maybe it’s the end of a long day and the rug with the corner that sticks up catches just enough of your foot to cause a fall. Maybe you notice someone outside your home in the middle of the night who shouldn’t be there. Or perhaps you plain just don’t feel well. No matter what level of emergency you’re experiencing, Belle is here for you. Simply press the call button to summon help - an operator will be on shortly to assist. No matter the reason, no matter the time, no matter the location, Belle is the solution to getting you help in moments when you need it most. Connecting to the operators is a breeze. After pressing the call button an operator will respond over Belle’s powerful two-way speaker and microphone, typically within about 30-60 seconds (call times can vary based on available cellular coverage). Once connected, operators can offer all types of assistance depending on the situation. 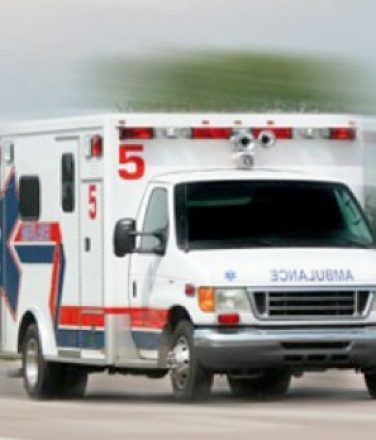 Need an ambulance or emergency responder? Another operator will dispatch to your location immediately. Feeling like you don’t quite need that level of response but still want some help? We can reach out to anyone and everyone on your contact list, which are usually nearby family members, friends or neighbors. We’ll set up that list at the time you sign up for service. Whatever the scenario, these highly trained professionals are available to you 24 hours a day, all year long. After a few questions with the operator, they’ll have figured out the appropriate level of response for your situation. Now we just wait until help arrives. For emergencies, ResponseNow operators will remain on the line until they hear help actually arrive on-scene. Not every company offers this; some disconnect as soon as help is dispatched. In moments that can be at a minimum incredibly anxious for a person and at a maximum life-threatening, having a calming presence connected to you via the Belle can go a long way. If you have any questions about how Belle functions during an emergency please give us a call at 866-795-4321. Activate Belle for any emergency big or small by pressing the unit's call button. Operators are standing by 24/7 ready to assist you with any situation you might be experiencing. You'll communicate with them directly through Belle. After discussing with the operator, you'll receive the appropriate level of response no matter if you're at home or on the road. Help can include emergency services or simply a friend or family member. Simple: easy to use right out of the box! Belle can be fully charged in just 3 hours and only requires charging 2x per month. Unlike some devices, Belle is perfectly safe to take in the shower. Just no submerging it in water. Sorry, bathers! Belle is meant for your busy life and whether that means the grocery store or an impromptu road trip, Belle is ready. When your battery drops beneath the 20%, ResponseNow can notify you via text and/or email that it's time to charge your Belle. "I felt the need to find something that would give me confidence to live my life." My aging mother called ResponseNow and spoke with a very friendly and helpful agent, who took the time to listen to her (and all of her stories) and offered her the right amount of information for her to make a decision as to whether this was going to be right for her. She didn't feel pressured or rushed into making a decision. The agent even called me while my mother was on the phone and conferenced us all together so we could discuss details of her plan and requirements. All I can say is .... wow - who does THAT? Thank you ResponseNow I know my mother is in very safe care with you. My wife got your service for my mother in law because we live two hours away from her. We were worried that no one would know if she had an accident. I thought I would have to drive to her house and set up the system, because she is not good with technology. To my surprise the setup was so simple that my mother in law had plugged the unit in and tested the service with the monitoring center before I had got in my car to drive to her house. "My great-aunt spent 3 hours on the floor after a fall. She yelled for help but no one heard, and she lives in a retirement apartment. We are grateful the manager suggested a ResponseNow medical alert system; she will not get stuck again." "I also wanted to say thank you for a week and a half ago, when I had to use it for real." We've got a system - and a solution - for everybody. ResponseNow In The Home is the traditional approach to in-home medical alert security. Featuring an array of available pendants and a console, our In The Home system is the perfect solution for customers who spend the majority of their time in and immediately around the home. Compatible with accessories like our automatic fall detection pendant, room and hallway button or just extra traditional pendants, the In The Home system is a customizable unit that’s sure to meet every customer’s personalized needs. Lifetime priceguarantee - no increases ever! In addition to the standard call button that can be pushed for help, Belle+ also features fall detection. Using a patented algorithm that measures speed, direction and the impact of each movement a customer makes, Belle+ can automatically go into alarm and contact an emergency operator. As with any fall detection pendant customers should always press their call button during an emergency if they possess the ability to do so.